If you have been reading for a while, you know that I love a good homemade muffin. There is something about the warmth and comfort of muffins in the morning (and maybe for an afternoon snack here or there) that make me so happy and fulfilled. I absolutely love making them for my family and will often whip them up two or three times per week, on a whim. Sometimes at ten o’clock at night. 1) Chia seeds – I love to put chia seeds into the batter for an extra burst of goodness for my kids. 1-2 teaspoons is plenty and will stir in nicely right before you scoop the batter into your tin. 2) Fresh zucchini – muffins are the perfect hiding place for this oh so healthy veggie. I grate a fresh zucchini – skin and all – and toss it into the batter and watch contentedly while my kids munch away. They like to say there is “grass growing” in their muffins…whatever it takes, kids. Whatever it takes. 3) Greek yogurt – this adds a nice creaminess and a dose of protein to homemade muffins, regardless of the recipe or flavors. 1/2 to 3/4 of a cup will do, just keep an eye on the texture as you go. You don’t want your batter to be too thin. 4) Extra vanilla – if the recipe calls for a teaspoon, you’re getting two in my house. A little extra vanilla extract always goes a long way in the flavor department. 5) Brown butter glaze – this is for those mornings that need a little extra warmth and love. A light, sweet brown butter glaze is the perfect topping for any homemade muffin. Almost as decadent as a cupcake, but not quite. I like this recipe for it. 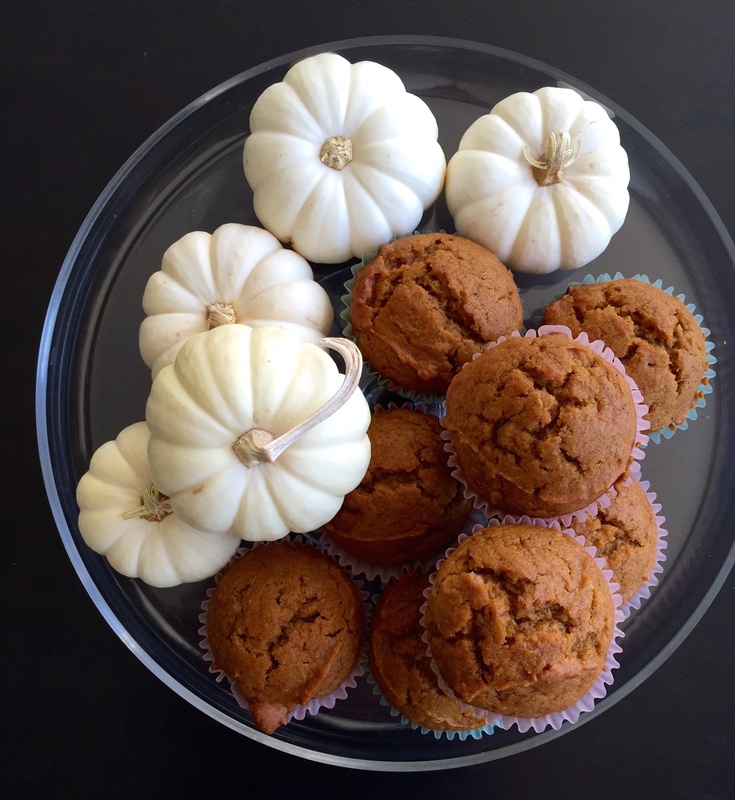 Above is an image of the pumpkin muffins I made last night. I was in a baking mood but not totally up to the task of starting from scratch, so I used a box mix from Cherryvale Farms. These guys are great because they make easy, convenient box mixes without all the nasty additives found in most. We used the pumpkin bread and simply had to add water, oil and a can of pumpkin purée. Then we amped it up with some of the above and topped with Trader Joe’s pumpkin cream cheese in the morning. So delicious, practically homemade and filled with warmth, goodness and lots of love. The perfect recipe for ten o’clock at night. Love it! So glad you enjoyed baking with Cherryvale Farms! Oh my goodness. If it wasn’t raining really hard I might have to go to Trader Joe’s right now. Pumpkin cream cheese? Yum! Well as soon as the sun comes out…run, don’t walk! Totally with you on the vanilla. I’ve been known to drizzle molasses in as well.